This WP aims at fostering integrative discussions on how to implement various forest management and sylvicultural practices at different spatial scales in a context of rapid environmental change. Novel approaches will aim at moving beyond purely wood related products to recognise the multifunctionality of forest service provision to the society. Moreover, there is the urgent need of integrating rapid environmental change in the decision-making context. The increasing weight of ecological approaches to forest conservation has resulted in a plethora of information available on land use and forest management practices, which has challenged our ability to handle and analyze large amounts of information. Furthermore, technical resources to assist managers in decision-making are mostly lacking. Not surprisingly, new software tools aimed to transfer knowledge between research and land management are in high demand by public administrations. Our intent is to fill this gap by generating a powerful information system that will help managers make informed decisions when confronted with the uncertainties of the main drivers of global change. Exchange of information between current forest management approaches in America and southern Europe will be essential here to integrate future challenges derived from the uncertain impact of global change on forests. Task 5.1. Application of forest Management strategies and silvicultural practices at the landscape scale to the Mediterranean. 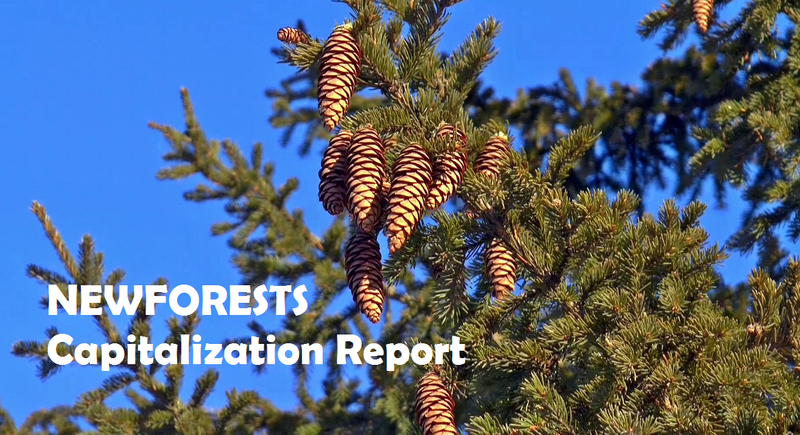 This task aimed at restoring and maintaining key functional properties such as forest and forest species connectivity. Many novel forest management practices are being implemented in Canada that relies on a good knowledge of the previous and current natural forest dynamics and disturbances (often called ecosystem forest management). These approaches cannot be easily transposed into the Mediterranean context since the current forest has been strongly influenced by human activities over millennia. Furthermore, with the rapidly changing environmental conditions worldwide and the increasing number of invasive species and creation of novel ecosystems, it is becoming more difficult to base our current forest management only on knowledge acquired from natural forests or based on past dynamics. New ways of integrating future unknown conditions are required, as the complexity theory framework (Messier et al. 2013). For the European, the Canadian expertise will be crucial based on their important progress during the two last decades to bridge fundamental research and management in the way of the sustainable forest management. However, due to differences in ecosystem and culture between Europe and Canada, expertise will be not a simple formula to apply, but a intellectual frame to develop specific planning for European forests. Task 5.2. Establishment of reference indicators to guide forest management guidelines in future changing conditions. An important practical implication of our research is the establishment of reference indicators that will allow the quantitative assessment of both the impacts of land use change and climate change on biodiversity patterns and function, and the development of prior cost-benefit assessments of future impact caused by further change. This information will provide critical guidelines in land and forest planning under different scenarios of transformation at different temporal and spatial scales. Moreover it will allow simulating the impact of different forest management strategies to halt the impact of global changes. It is the aim of the program to use information on species traits and ecosystem processes in a more integrative management perspective, allowing not only the reduction of the impacts of land use changes on current rates of biodiversity loss, but also playing a key active role in determining future forest landscapes more resilient to foreseen changes.